What does the US have to gain by other countries not being socialist or communist? With the current situation in Venezuela, it seems like the US is once again weighing in against a leader that is textbook socialist or communist that is also a dictator. I understand the hardships that dictators in these situations often do and why, from a humanitarian point of view, we should want to hope for a free and capitalist Venezuela. However, I am wondering, from a USA first point of view, why we would want that. With socialism making countries less competitive on a world stage, wouldn’t that be good for our economy, due to the fact we are more competitive relative to them? Again, this is not a point of view I take, but I would love to hear a USA-first philosophy that suggests we should intervene and spend money. If we extrapolate from the historical record, it looks like the U.S. couldn't care less if there is a dictatorship or not in Venezuela or anywhere else. What the U.S. seems to care about strongly is that a regime does not intrude on their trade interests. Communist and socialist regimes have a tendency to nationalize industries and push land reform, thereby ousting the current stakeholders, which might be U.S. companies. (Land reform usually redistributes land from large landowners to peasants; e.g. see the Guatemalan land reform of 1952.) Therefore the U.S. likes to support right-wing regimes and military juntas aligned with the current business elites. Most talk about capitalism vs. communism, human rights, democracy etc. is just a pretext to justify military intervention to install a regime that is friendly to U.S. interests. There are many dictatorships currently allied with the U.S.: List of authoritarian regimes supported by the United States. The people under these regimes face many hardships and human rights abuses. Why does the U.S. not intervene? I think the most useful framework to use to view US foreign policy is the one set out in Walter Russel Mead's Special Providence. The thesis is that there are essentially 4 schools of foreign policy, continually jockeying for getting their own way. Their primary motivations are roughly: promoting US business, protecting the US from foreign threats, promoting US values, and "Never start a fight, but always finish it." He respectively labeled these 4 schools "Hamiltonians", "Jeffersonians", "Wilsonians", and "Jacksonians". Basically, if you as a foreign country never manage to tick off more than one of these groups, you will generally do OK.
Hamiltonians are always going to have problems with any country that Nationalizes large amount of private assets. Particularly if the private companies in question were US companies, or had lucrative contracts with US companies. So while they don't necessarily care if a country decides to have universal healthcare, they care a great deal if it decides to nationalize its entire Oil industry. Venezuela did this in 1976, but it was Chavez in 1999 who kicked all the foreign oil projects out of the country. This earned him (and his protégé's ) the enmity of the Hamiltonians. Jeffersonians are generally OK with countries as long as they don't threaten the US. Unfortunately, Venezuelan leaders have made a habit of casting the US as their enemy, as a tactic to distract from domestic troubles. While not a huge threat, they have also been busy the last few decades publicly making common cause with other countries that are generally perceived to be US enemies, like Cuba and Russia. This is clearly unfriendly behavior, and does not have them in good smell with Jeffersonians. Strike two. Wilsonians want other countries to be democratic, and their people to be free. Any country whose rulers clearly cheat an election will be on their shitlist. They didn't have a big problem with Chavez kicking US Oil companies out when he did it back in 1999, because he was a popular elected leader of a young democracy, and in their books the region needs more of those. However, recently things have changed. Venezuela abolished its presidential term limits in 2009. In 2015 the ruling party lost its parliamentary election, and essentially created its own separate parliament rather than abide by it. A recall movement started, which the President's government cancelled by fiat. The next election in 2017 had more shenanigans than I can list, resulting in polling showing about 73% of Venezuelans thinking the new assembly not being valid, and 78% considering their country to now be a dictatorship. Wilsonians do not like election shenanigans, and certainly don't like dictatorships. That's strike three. Jacksonians aren't going to be approving of any messing with Venezuela until the day we are actually fighting. For Maduro, that's a good thing. The US Army and Marines are heavily peopled by folks with this outlook (as are a lot of lower-income relatively apolitical Americans, from which those services draw) This is the one group you do not want to tick off above all others. So the basic problem the current Venezuela regime has is that they've actively ticked off 3 of the 4 poles of US foreign policy. Anyone in this situation can expect a lot of non-military intervention (and military isn't out of the question either). Think back 50, 60, 70 years. There used to be something called the Cold War. Belief in their own system. Various free market economies are convinced that some from of Capitalism is right for people worldwide. Communists are convinced that Communism is right for people worldwide. Each wants to convince the rest of the world, and to save the people languishing under the other system. Fear of the Domino Theory. If states are successful with the other system, their own population might decide to change the domestic system. That mostly happened with people throwing off Communism in recent decades, but there was a time when Communist revolutions were quite common. Being a Socialist state is not a crime by itself. There are plenty of countries in today's world that can be called more or less socialist: consider Nordic model, informally known as Swedish Socialism. Dictatorships, on the other hand, tend to build Socialist or Communist economies because the Socialism assumes a bigger fraction of the nation's means of production and gross domestic product controlled and redistributed by the ruling regime. See, for example, Lenin: „The Dictatorship Of The Proletariat“ (1919). Simply speaking, it is easier to rule over the poor than the rich; it easier to be a dictator if your economic system is a Communism. armed invasions to neighboring countries. Note, all these problems are not local at all. They splash outside or even are targeted against other states. That's why these regimes pose a threat. I am wondering, from a USA first point of view, why we would want that. To impose targeted sanctions on persons responsible for violations of human rights of antigovernment protesters in Venezuela, to strengthen civil society in Venezuela, and for other purposes. Subsequently, the US President signed and issued a presidential order declaring Venezuela a threat to its national security. — Reuters. “President Barack Obama ... has personally decided to take on the task of defeating my government and intervening in Venezuela to control it,” Maduro said in a televised address. Someone who hears this speech may be confused into thinking that the US pursues Venezuela because it is Communist. Throughout its entire history, the Communism has been used as a disguise for brutal dictatorships. There are reasons why the dictatorships prefer being Communist states. The US' goal is not to overthrow other countries' economic system of manual redistribution of its wealth; instead, the goal is to eliminate threats to the American national security and stop the violation of human rights. Trade. If countries follow communist or socialist ideas, trading with them will be less free. Also it will disable American companies in investing in those countries. The USA are in fact a Plutocracy, which means the government is exclusively made out of the rich people / the top 5% of the population. So it will act within the interests of rich people and companies. Socialist regimes tend to nationalize companies and factories, etc... This contradicts the interest of the American (plutocratic) government, as even if the politicians themselves aren't affected by the socialist acts, their friends and/or sponsors may be. This is also the difference between Venezuela and Saudi Arabia. While both countries are humanitarian catastrophes, one is an ally and the other is considered bad. 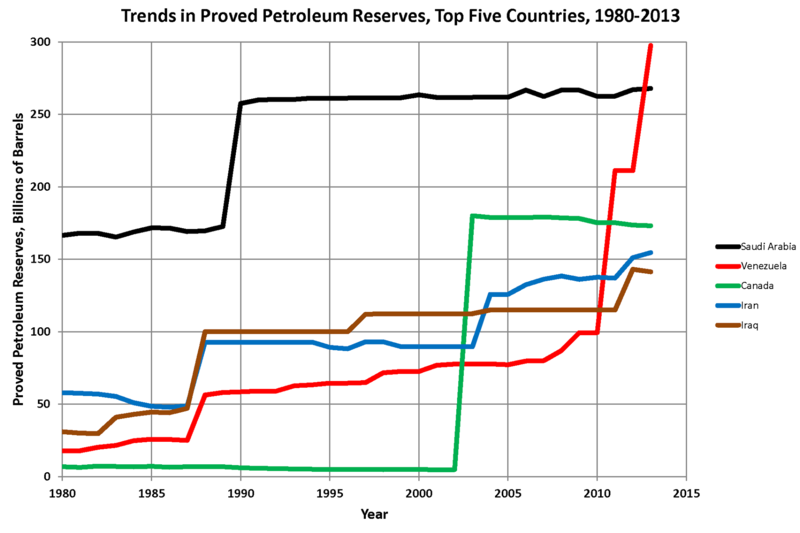 Venezuela also has the largest oil reserves (their known resources have more than tripled over the last 8 years), making them important for most powerful industries. Right now, those oil reserves are in the hand of the Venezuelan government, so they dictate what is happening with the oil. And that's the problem with the dictator being socialist. Kissinger is known for his quote: "Control oil and you control nations; control food and you control the people." This still is the case today. Additional information to politics and economy, the "political compass"
It's about narrative. The ones who bend over nicely and spread well in their trade relations with the US will not be labeled socialist or communist. If they don't, well then they'll enter the danger zone of being called socialist or communist. Word "socialist" or "communist" if it comes out the mouth of an American simply only means "someone who doesn't do what we want them to do". It stopped meaning what it actually means a looong time ago. Let's look at some history. According to Wikipedia, during the Cold War, the USSR had tens of thousands of nuclear weapons. The primary target was of course the United States. Furthermore, there were incidents where, had things gone a bit differently, the weapons might have been used. In particular, there was the Cuban Missile Crisis and the lesser-known but possibly-more-dangerous 1983 Soviet nuclear false alarm. More recently, Kim Jong un repeatedly threatened a nuclear attack on the United States. Additionally, socialist countries have a habit of producing major refugee crises. The current Venezuela crisis is only the latest example. See also the Mariel Boatlift and the Zimbabwe refugees. In short, socialist countries tend to cause a lot of problems not only for their own people, but also for everyone else. Lastly, I would argue that the most important question for humans is whether or not we will succeed in expanding beyond the Earth. Obviously nuclear wars and refugee crises won't help with that. I think US interest in Venezuela has less to do with it being socialist, or for altruistic reasons, or "freedom" (#rollseyes). It has more to do with regional security. The country has experienced a sudden exodus of over 1 million people, already having a destabilizing effect in Colombia, Brazil and Ecuador. At least that's how I see our government looking at the Venezuelan crisis. As for other socialists or communist countries (there are no communist countries left, btw), I don't think we quite give a hoot about them as long as they don't pose a destabilization risk. Not the answer you're looking for? Browse other questions tagged united-states foreign-policy venezuela or ask your own question. What effect would leaving the UN have on a country? Are there any countries which daesh does not consider a target? Does Mike Pence have a chance of being elected as POTUS by the House? Why does Georgia not have a hate crime statute? What scope does Title I Fisa have as it pertains to other US citizens not explicitly targeted by the warrant? Why does the US allow other countries to lobby its government? What options does the US have in response to the killing of journalist Jamal Khashoggi? Does the US “coerce” other countries to criminalize many drugs?